Experience 70 years of history in this 1940’s renovated fishing cabin! 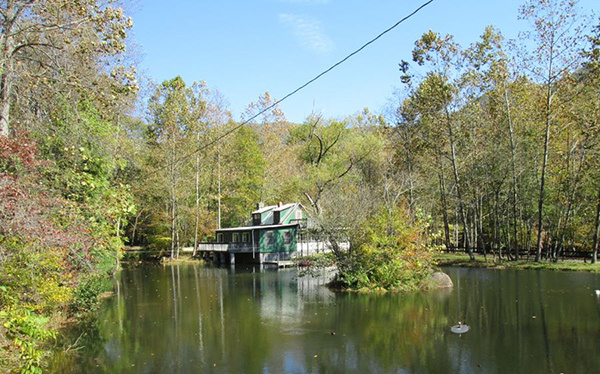 Guests truly adore Parr’s Camp with a fully equipped kitchen, 3 ½ bedrooms, and 1 ½ baths. This home is great for families that need space. Four separate porches and a unique sitting room with fireplace where fishermen once gathered to tell stories. This home overhangs a beautiful pond. The North Fork of the Tye River runs past the front porch where native trout can be caught from the ever-changing mountain stream. Only 2 miles from Crabtree Falls, off Highway 56 on Route 687.